How to become a Professional Hacker? Whenever i listens the word Hacker from anybody’s mouth, it starts tickling my brain and my blood starts flowing fast through my nerves. Do you want to know why? Because i am Hacker. Lets be precise Professional Hacker. Believe it or not when somebody novice starts talking about Hacking in front of a Hacker, i am damn sure hacker can never hold back for long. May be some can but i won’t. Almost everyday we hear at least 1 negative news about hackers like Mark Zukerberg’s profile hacked by some hacker or particular organization or website is hacked by some Hacker or particular site’s database is leaked. Have you ever heard any media or news channel reporting particular Hacker highlighted the bug or loophole in Facebook or twitter or any organizations website etc ?? Ever?? Off course not! Because media only portrays negative aspect of the Hackers. They misinterprets the scope of Hacker word. Everything in this world is like a Coin having two aspects Head or Tail i.e. Good or Bad. But its still a coin, you cannot call that its a tail coin or head coin, you will always call it a coin. Similarly Hackers have two aspects good or bad. Good who highlights loopholes or bugs and fixes them and Bad who misuses them for their own good or to harm others. But which is good and which is bad? Who defines it? But here we are not discussing types of hackers. We are discussing how to become a hacker i.e. good and bad both. How i got an inspiration to become an Hacker? I was in my computer Engineering first year, where i met my very first mentor Mr Abdul Kadir Sir (Lecturer @ AMU). He shown me some amazing things in his class related to IP address and Networking and told me few good links to study more. I found that so much interesting and unique that it became my passion and i started learning things quickly. But suddenly a incident happened, my email account was hacked and that incident of hacking my email account boosted my Hacking journey to next level. Now my motive has become to learn how to hack email accounts, for searching this i visited at least 100+ Hacking websites but result is all same. All websites same novice methods like phishing, password guessing etc and none of them worked :D Phishing worked sometimes for me but its ration was 10:4. Once day doing so i thought why don’t develop my own method to hack emails but how to start???? So i started from very beginning How email works?? What all channels it go through?? and much more. And it worked, i have written my own scripts and tools to hack emails and much more. But believe me in that’s not even the 1 percent of Hacking. My interest keep on growing and parallely my skills. That’s the only reason i never say no to people who come to me for Hacking emails and Facebook kind of things because i see a new hacker evolving. Now you all guys think this is not so called hacker, but its cracker. So my answer is quite simple ” To become a good Cop, you have to think like a criminal or sometimes become a criminal to enter their territory”. So that about me, how i became a hacker. 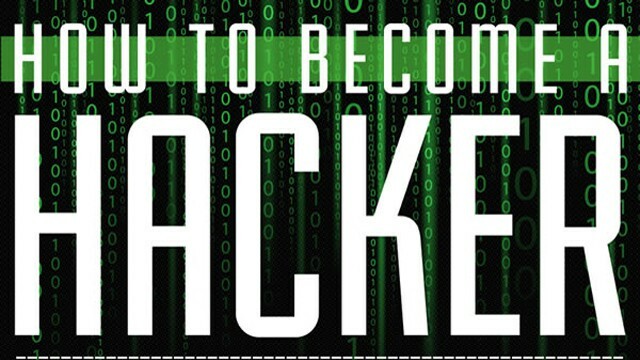 Now lets learn what things are necessary to become a professional Hacker. How to become a Professional Hacker? 1. Understand the concept of 5 W’s ( What, Who, Where, When, Why) and 1 H (How). Everything you work on or try to explore must have 5W’s and 1 H concept in mind. What i am doing? Why i am doing? For Whom i am doing? Where it will take me? When i will reach destination and How i will expand further? 2. Always be curious like a new born baby i.e. never miss anything, learn everything from very beginning. A new born baby symbolizes for its curiosity, he wants to know how everything is going its around, why its going around? Become like new born baby. Listen to everyone carefully, read everything conceptually. Understand what that thing does and how it does? 3. Be innovative : Always be innovative with your thoughts and never satisfy from past success. If i do this what will happen? How it will respond? This is the major step to avoid boredom and stagnancy. 4. Must have an Urge for getting better and better: The day you stopped progressing you are a dead men in technology. Technology is growing at 100 folds, everyday we have something new in market. So cope with it to remain alive. 5. Read as much as content related to computers, subscribe Computer or internet geeks blogs, read manuals, articles, tutorials whatever you get. Everything teaches something unique. 6. Understanding for code’s logic or semantics is compulsory. Pick random codes and try to analyze them what they for? How they work?? What will be their output?? If you change something what will be its impact?? 7. Adopt the Mindset of Hacker : As i have already explained above, to become a good hacker you have to think like one. That’s why its a must to learn both aspects of Hacking Negative and Positive. If you don’t think like other hackers you will not able to focus how other one gonna break into your system. 8. Learn like handicaps : Now this point comprises or several things for example : Say you don’t have mouse how you will navigate? think otherwise you don’t have keyboard how you will write. Similarly you don’t have direct command or so called icon for any software, how will you use it? Use it using command prompt or best is practice on Linux Operating system preferred non GUI version. 9. Learn how to Program: I will not focus on one programming language but must master at least one syntactically and others fundamentally. Rest Google is there for syntax. 10. Must have a Motive : Why you want to learn hacking, why you want to become a professional hacker and how you are going to achieve it. I hope this helps all of you and motivates you to become a Professional hacker. I opted for it because i found it unique and interesting. It’s upto you how you want to become, i can only teach you tricks, techniques, concepts etc etc. But its you who have to be faithful with yourself to become a Professional Hacker. We all know we are Born Hackers but we just needs an spark to opt it as profession. Hope this article develops a spark in you! Have fun. Keep Learning as its the key to success.